American DJ Crank 2 Black Tripod Stand with Crank DJParts - All Variety of Parts that DJ Needs. 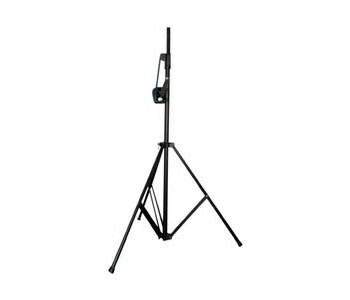 Steel tripod stand cranks up to 10 feet. For use with the American DJ Crank/TB or LTS-50T I-Beam. (See also Crank-2 System). • Weight capacity: 70 lbs./32 kg. • Crank-2 weight: 28 lbs./12.5 kg.